A professional flooring contractor that’s what you’ll find at Sunnyside Services LLC . As a professional floor contractor, we offer guarantee lowest price on hardwood, laminate, tile and vinyl floor installation. We will beat our competition by 5%. As a flooring contractor we want to save you money. Sunnyside Services LLC, as a floor contractor we specialize in hardwood flooring, laminate flooring, vinyl flooring and tile flooring. Why should you hire a flooring contractor? A floor contractor provides quality work and great customer service. A flooring contractor should be properly licensed, insured and bonded, which we are. At Sunnyside Services LLC our flooring contractors can help you choose a great floor by finding the right floor that best fits your needs. 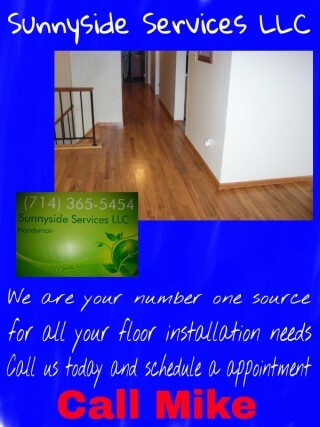 Sunnyside Services LLC can have our floor contractor come out to your home and give you a free estimate/measure. Need help picking up material? No problem, our flooring contractors can help with delivery too. Our floor contractor can also help with moving furniture to install your flooring. 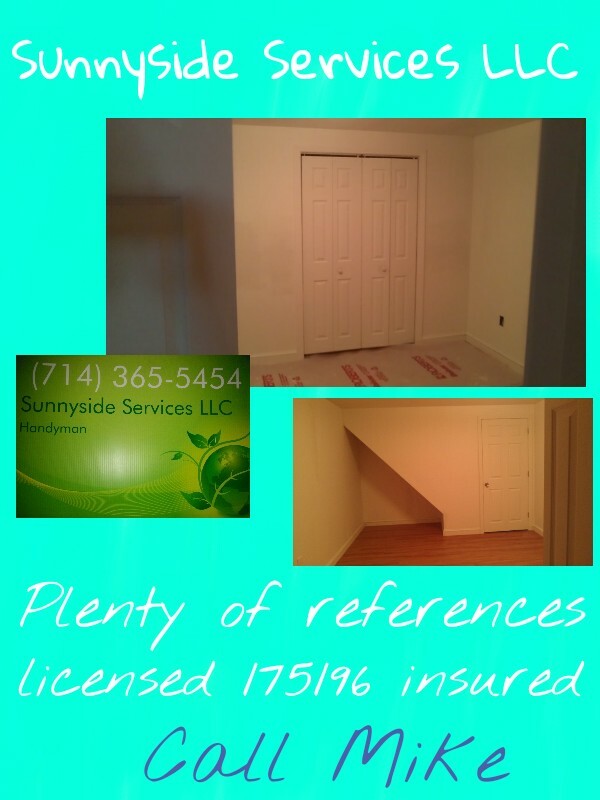 Sunnyside Services LLC flooring contractors can remove old flooring worry free. Our flooring contractors are in and out in a convenient and timely manner. Our flooring contractors are located in Grafton, MA also located in Worcester county/central MA area. So CALL our flooring contractor with Sunnyside Services LLC today and save 5% on floor installation that will guarantee you SAVE more money in your pocket.